Greetings! I'm writing from top secret location in North Carolina!! Why am I there? I can't tell you! When will I come back? Sunday night! Why didn't I blog yesterday?! Because I was working on my Lies Grown Ups Told Me Anthology submission! And barely finishing before getting on a plane! So try not to weep too much, as next week I'll return with a much needed content-filled update. 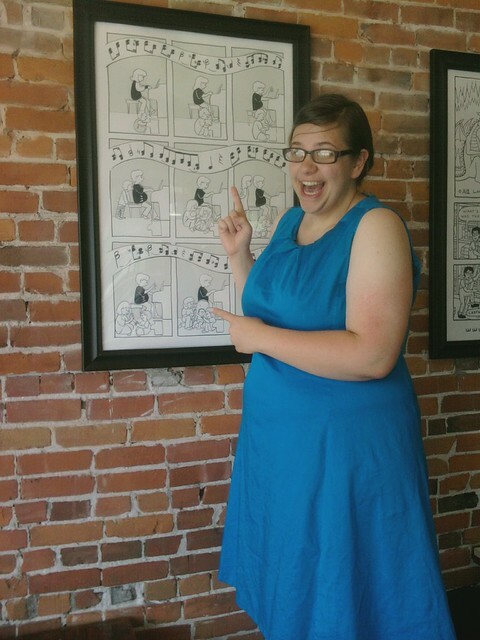 But for now, enjoy this picture of Life Sized Beth and her Life Sized Artwork on display in White River Junction's very own Tuckerbox!! 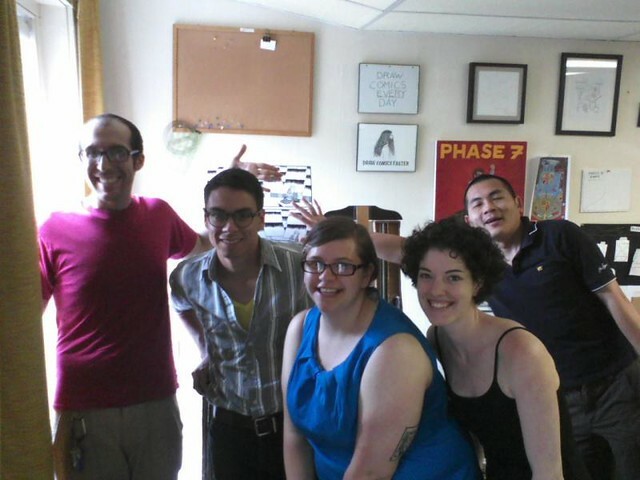 And a picture of my super fun and talented studio mates! left to right: Jon Chad, Joe Lambert, Me!, Katherine Roy, and Keny Wadjaja, photo by Alec Longstreth and not pictured are Alex Kim, Pat Barrett and Jason Lutes.